The CA Admission Ceremony 2019 took place at the EICC on Saturday 23 March. Over 340 newly-qualified members attended with friends, family and honoured guests. 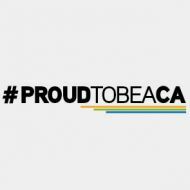 ICAS President Sandy Manson CA, ICAS CEO Brice Cartwright CA and One Young CA 2018 Michael Scott encouraged the crowd to be #ProudtobeaCA. Over 340 new CAs attended the 2019 ICAS Admission Ceremony at the Edinburgh International Conference Centre on Saturday 23 March. ICAS President Sandy Manson CA and Chief Executive Bruce Cartwright CA welcomed a host of new members to the event, sponsored by Rutherford Cross. Addressing the audience, Sandy said: "You are the young people who will carry the torch of ICAS, the sword of enterprise, and the shield of integrity into the years to come. “Over the last year, I have had the immense privilege to travel to all the corners of the globe and meet CAs. Their contribution to our profession and the wider community is incalculable. They are the world’s most powerful business network. “And, today, you join them." Overall, more than 500 CAs have been admitted into ICAS membership this year. Bruce added: "The CA designation carries with it a level of integrity, of competence, and of connection to something bigger than yourselves. You have all earned the right to use those letters after your name. The ceremony also recognised 12 new ICAS Tax Professionals (ITP) who gained the qualification in the past year. Mark Alison CA, Executive Director of Education at ICAS, commented: “We are delighted to welcome as new members of ICAS, the first group of students qualifying with the ICAS Tax Professional ( ITP) programme. “These new members of ICAS have demonstrated an exceptional level of ability across a broad range of taxation subjects, and have a fascinating career in front of them at the forefront of the UK Tax Profession." New members also heard from the 2018 ICAS One Young CA Michael Scott about his journey to becoming a CA and the impact it has allowed him to have. He said: “I have seen for myself that ICAS members have a growing awareness and emphasis on social issues, charitable causes and community spirit. "You are all in an incredible and unique position. You have the power to make a meaningful impact and influence others. Watch the full recording of the 2019 ICAS Admission Ceremony.